Gardenias are reminiscent of warm nights, sweet romance and vintage beauty. A symbol of the south, they bring to mind lavish gardens and sprawling manors. When planted around a porch or near windows, gardenias infuse the air in the home with a scent almost as sweet as candy. There are several varieties of this evergreen shrub, but almost all of them have fragrant white flowers. Gardenias are actually members of the coffee family. Native to warm locations in Africa and Asia, these plants love heat and humidity. In the south, these shrubs can be planted outside, and they bloom from early spring to midsummer. They often line pathways as borders and make a beautiful hedge. In colder climates, they may be grown in pots and brought indoors for the winter, although they may attract pests such as mealybugs and whiteflies. August Beauty – One of the most popular gardenia varieties, this type has double flowers about the size of the palm of a hand. It begins to flower in early spring and may have random blooms throughout early fall. The large shrub is attractive even when it’s not flowering, making it an ideal choice for borders and hedges. 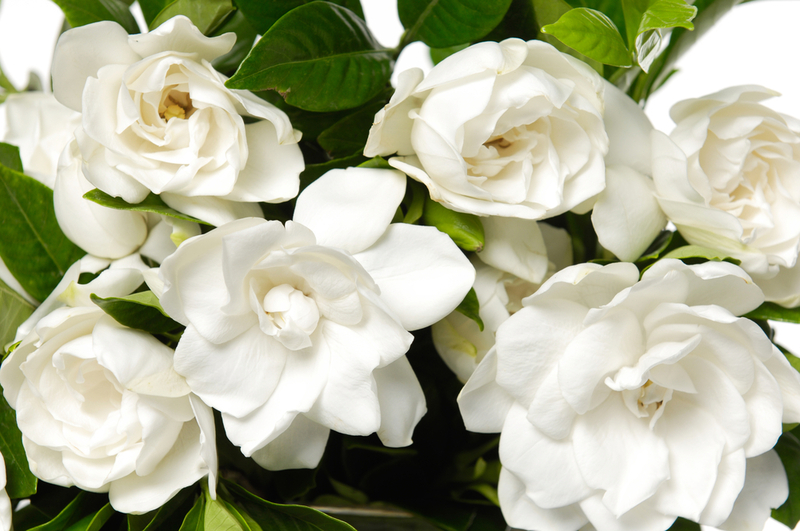 Mystery – Also a well-known gardenia variety, its flowers grow to 4-5 inches, and the shrub itself can grow to 8 feet. 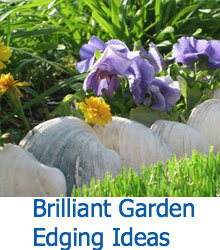 This type of shrub requires pruning to maintain a neat appearance and blooms throughout the spring. Miami Supreme – The large double flowers on this type of gardenia make it a beauty. 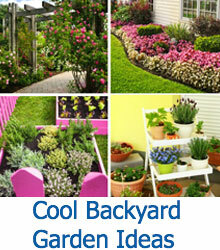 It can be planted in containers or even pruned to look like a small tree, making it a versatile addition to any garden. The Miami Supreme may bloom into the fall and grows well inside in warm, sunny locations. Grif’s Select – A beautiful choice from spring to fall, this plant bears numerous flowers. In the fall, red berries appear on the shrub, bringing an element of surprise into your garden as the weather cools down. Klein’s Hardy – Although one of the smaller shrubs, growing up to 2-3 feet in all directions, this type of gardenia commands attention. Although it does not have double flowers, the vibrant yellow stamens on these flowers are striking, and its leaves are large and shiny. Klein’s Hardy can survive temperatures to 0 degrees Fahrenheit. Radicans – Great for edging and small pots, this type of gardenia only grows up to 12 inches tall. 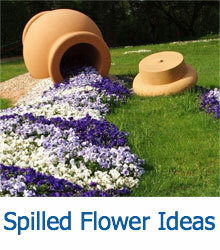 It spreads 2-3 feet, making it an ideal ground cover for warmer climates. Radicans Variegata has unique striped leaves. White Gem – Compact at only 1-2 feet tall, the White Gem gardenia tends to bloom in the summer, infusing the air with an enchanting fragrance. Shooting Star – A tall-growing variety that’s hardy to 0 degrees Fahrenheit, the Shooting Star gardenia is as magical as its name implies. Its large leaves and size make it a great natural wall or hedge between yards. First Love – This variety of gardenia is irresistible. One of the first gardenias to bloom in the spring, this type has large, breathtaking double blooms that look beautiful in floral arrangements. There are several other types of gardenias available by mail order or locally. Growing the right type of gardenia for your climate will help you achieve success and provide you with an aromatic atmosphere that you can enjoy for months.